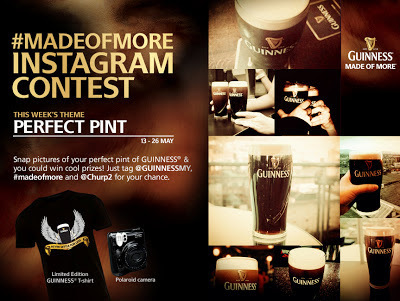 Post the picture to Instagram, and include @GUINNESSMY, #madeofmore and @Churp2 in your caption. Fill in the form & submit your entry. Visit Churp Churp's blog for more details.